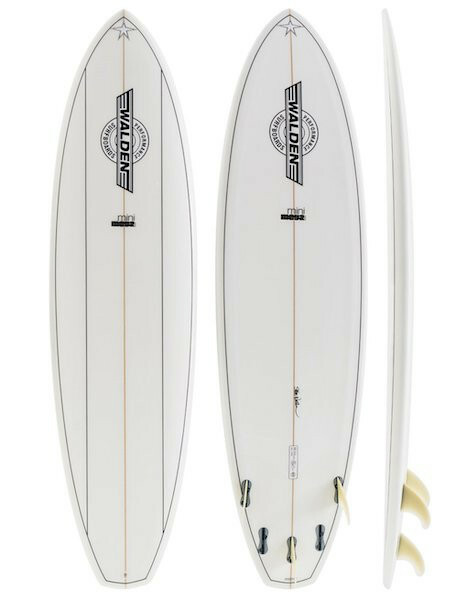 6'10'' • 23 1/2'' • 3 1/2'' • 60.8 ltr	• FCSII Carver GF • 85kg +/- The Walden Mini Mega Magic 2 is a mid-size version of our best selling Mega Magic SLX surfboard. Sized between 6-7' it is a sporty version of the Mega Magic. Designed for the bigger guy who is looking for a bigger shortboard (rather than the Mega Magic which is a shorter longboard). The Mini Mega has more of a shortboard outline with a pulled in nose, with a lot of extra volume for maximum floatation yet it is still highly maneuverable.